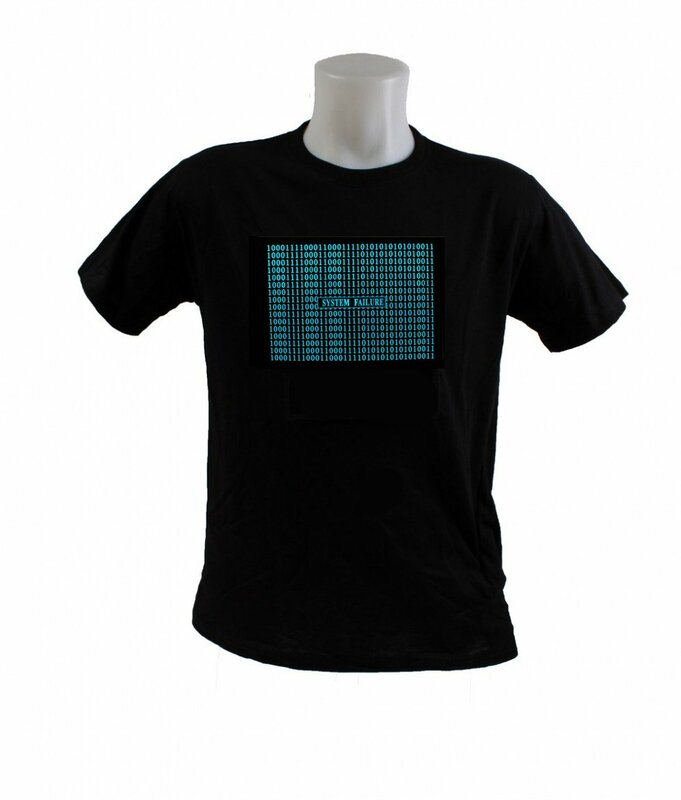 MATRIX LED equalizer shining T-shirt. It will flash in the rhythm of music and everyone will envy you that you have this t-shirt. 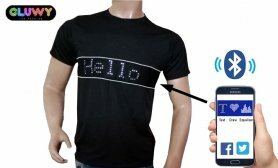 Unique LED T-Shirts with sound sensor. MATRIX LED equalizer shining T-shirt. It will flash in the rhythm of music and everyone will envy you that you have this t-shirt. Unique LED T-Shirts with sound sensor. Best stands out at a disco, club, party or festival, it's the right investment for you if you want to be the centre of attention and to be cool. Do not wait and check all the patterns and choose your own ones. The LED panel is attached to the t-shirt via the velcro fastener - allowing easy detachment of the panel.